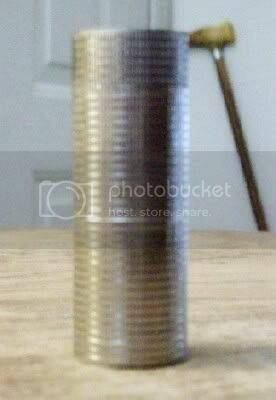 I got this one at a Checker Auto Parts store. We had to make a trip there because the starter in the truck decided it wasn't going to work anymore. The tag said 4.99 but when it got scanned it only came up 3.99. And I wasn't going to correct the machine, if they wanted to give it me at $1.00 off who am I to say no. I only say something when I am being over charged. lol. 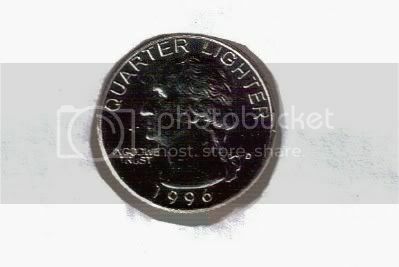 As you can see the year on the quarter is 1996. I should have looked at the others to see if they all had the same date. It has a green flame, I wonder how long the green flame would last with normal use of lighter that has that feature? I do not use my lighter collection on a normal basic, so I may never know. hey there, i think i may bookmark you;) i'm watching one of these on ebay right now. too cool for school.